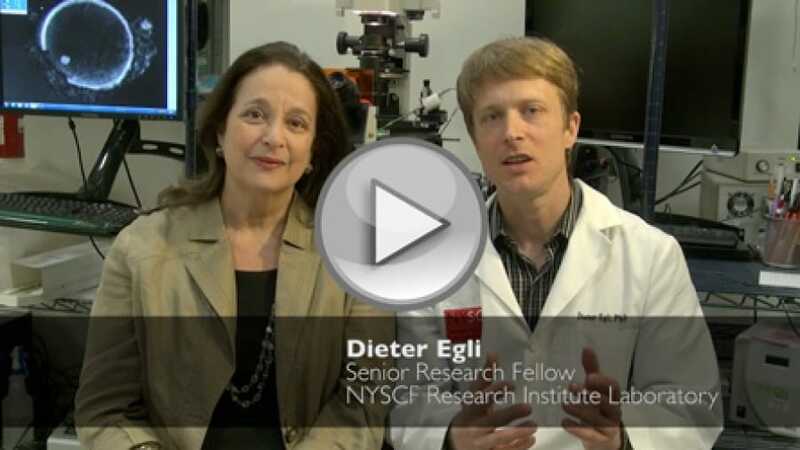 Dr. Dieter Egli, NYSCF Senior Research Fellow, discusses his latest somatic cell nuclear transfer (SCNT) research with NYSCF CEO Susan L. Solomon. This research, published in Nature, describes the first-ever human stem cell line derived from a patient, in this case a type 1 diabetic, using SCNT. In Addition, the scientists were able to turn these stem cells into insulin-producing beta cells, the cells lost in type 1 diabetes. Dr. Egli and Ms. Solomon discuss this breakthrough, next steps, and further research needed and its potential as a future cell therapy for the treatment of diabetes and other diseases.